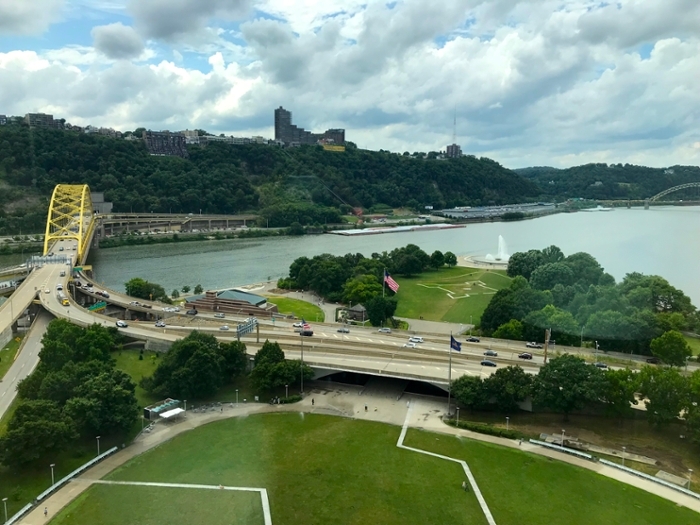 PEARC18 conference gets creative with computing in Pittsburgh, PA.
Last week, Science Node headed to Pittsburgh—city of bridges, home to Mister Rogers, and birthplace of the polio vaccine—to check out the buzz at PEARC18 (Practice & Experience in Advanced Research Computing). PEARC in Pittsburgh. Scientists, administrators, and students convened in the City of Bridges to share the innovative ways they are using high-performance computing for research—and not just in the hard sciences. 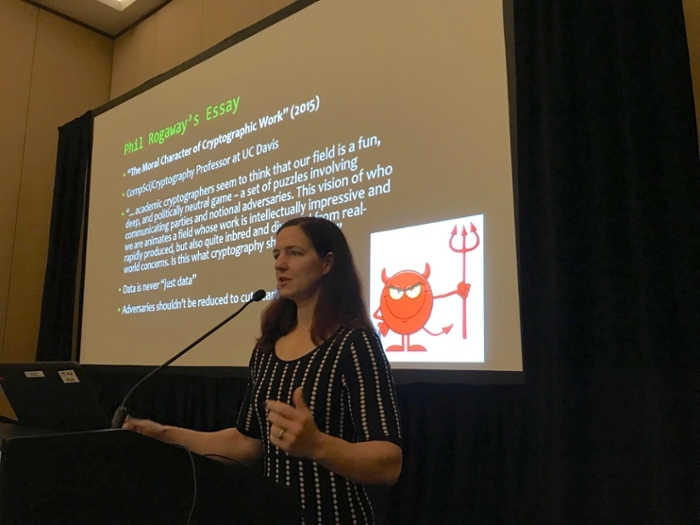 This year's theme was 'Seamless Creativity,' and our editor-in-chief, Alisa Alering, spoke with researchers discovering new ways to profit from high-performance computing (HPC). In the coming weeks, we’ll bring you stories about Ruby Mendenhall harnessing HPC to rescue the stories of black women from history; the Pittsburgh Supercomputing Center’s (PSC) innovations in artificial intelligence and neuroscience; Anita Nikolich’s revolutionary ideas for partnering with hacker culture to improve academic cybersecurity; and more. While there were too many informative and inspiring sessions for us to cover them all, we collected a few highlights to share. Of the 350,000 users eligible to access national computing resources only about 2 percent actually use those services. At the same time, 70 percent of those same eligible users report inadequate compute resources. So what’s the problem? Many potential users either don’t know they’re eligible for access or find the experience too challenging. To address this gap, presenters from Indiana University, Minnesota Supercomputing Institute, Los Alamos National Laboratory, and NASA spoke on the ways they use cloud technologies to enable innovation. Container technologies such as Docker and Kubernetes impact reproducibility and reduce the amount of time users must spend maintaining computing systems. Science gateway software such as Airavata allows academic users to bypass the command line. Though container solutions impact a machine's performance, the panel observed that most researchers prefer containers over virtual machines. The web-based Galaxy biomedical platform allows users to run jobs on remote machines without even knowing it - which means more time to focus on the academic work instead of developing advanced computing skills. OpenStack cluster management software enables data migration ­flexibility and dynamic resizing of an instance (for example, a weather monitoring system might need more processing power during a hurricane). OpenStack deployment also permits administrators to deploy analytics that aren’t traditional to HPC. Craig Stewart, executive director of the Indiana University Pervasive Technology Institute (PTI) and deputy director of XSEDE Cyberinfrastructure Integration, was diagnosed with stage IV colorectal cancer in early 2017. Now that surgery and chemotherapy are behind him, Stewart and his wife, Marion Krefeldt, discussed their experiences and provided recommendations for HPC professionals (who experience a high-stress environment) and for the National Science Foundation (NSF). Take one day a year to focus on your health. Take the whole day off and do nothing but evaluate and concentrate on your good health. Have annual checkups, and get tested for everything that the US Preventive Services Task Force recommends for preventive exams. Perform monthly self-exams for skin cancer, breast cancer, and testicular cancer. Exercise and maintain a healthy weight, and find ways to avoid sitting. Consider lowering your carbohydrates and increasing your protein. Evaluate the nutrition content of your food based on the amount you will reasonably eat, not on the suggested serving size. Consider adding a mindfulness practice—meditation, prayer, Tai Chi, etc. Demand that your doctor works for you. If you don't get satisfactory answers from your doctor, demand them or find another doctor who will work for you. If you do experience a serious illness, worry about getting well first and the bills second. Current NSF policy creates an environment where PIs feel pressured to overpromise on what they can accomplish in a specified grant period. Requiring description in quantitative terms of resources described in the "Facilities, Equipment, and Other Resources" document, could result in better planning for all. Move submission deadlines away from commonly observed holidays. The Extreme Science and Engineering Discovery Environment (XSEDE) is a single virtual system that scientists can use to interactively share computing resources, data, and expertise. But various XSEDE areas provide different support and technical resources. The Community Engagement and Enrichment group focuses on resources for the broader community: User Engagement; Workforce Development; User Interfaces and Online Information; Broadening Participation; and Campus Engagement, which includes the Campus Champions. The Extended Collaborative Support Service includes: Extended Support for Research Teams; Extended Support for Community Codes; Extended Support for Science Gateways; Novel & Innovative Projects; and Extended Support for Education, Outreach, and Training. Cyberinfrastructure Resource Integration focuses specifically on providing services to researchers. Its main service is the XSEDE Community Software Repository which features information about each XSEDE group's mission, but also a YUM repository of useful software curated by XCRI staff called the XSEDE National Integration Toolkit (XNIT). XCRI also curates the XSEDE-Compatible Basic Cluster (XCBC), based on OpenHPC, and offers no-cost site visits to universities wishing to adopt either XNIT or the XCBC. XSEDE Operations consists of Security; Data Transfer Services; the XSEDE Operations Center, which handles all of the incoming queries to the XSEDE Help Desk; and System Operations, which manages some 50 services for XSEDE. If your institution would like to share a computing resource, the System Operations group can help. The XSEDE Resource Allocation Services (XRAS) group can help institutions determine how best to allocate campus resources. One option is placing listings in the XRAS service, which features available advanced computing resources and is not limited to XSEDE services. XSEDE priorities have shifted slightly for XSEDE 2.0, focusing now on providing tools and resources to campuses. Examples of these would be the XNIT and the XCBC; the Service Provider Forum; the Campus Champions; determining and making available those XSEDE services that could be useful outside the XSEDE ecosystem; and providing monthly online training that you can host at your campus.